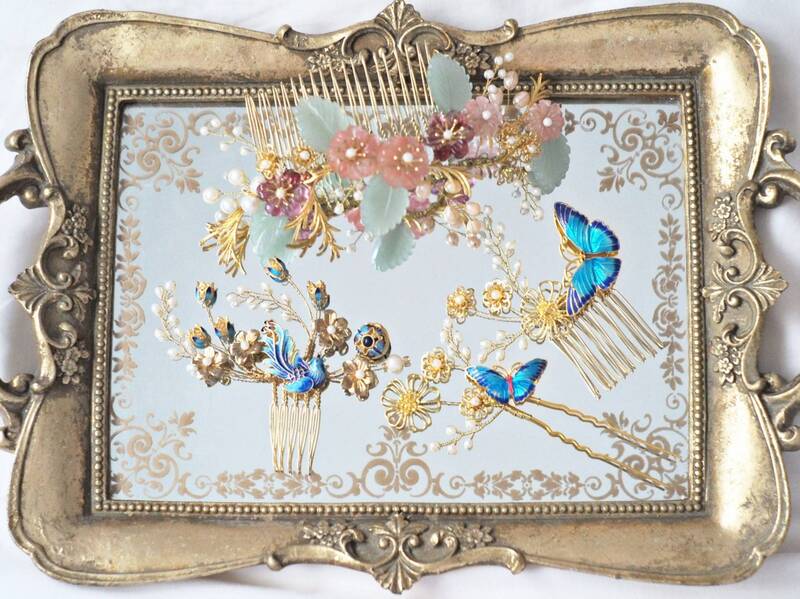 Gemma is inspired by a Chinese phrase '' golden twigs and jade leaves'' meaning Princess and noble girls, and a daughter is her parent' s treasure. 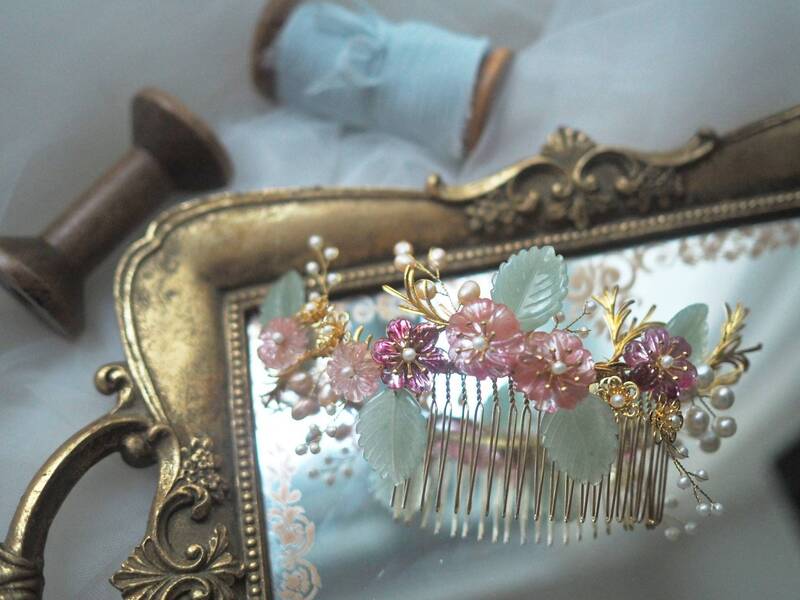 This comb is made of natural mineral flower charms (strawberry quartz, tourmaline) jade leaves, and fresh water pearls. Matched with golden rosemary and golden flowers.